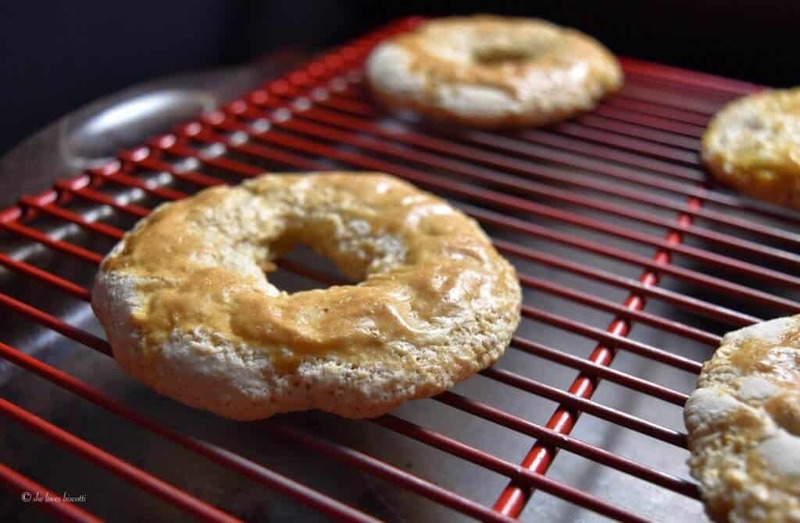 This ring shaped Crispy Spicy Almond Roccoco Italian Cookie Recipe is truly unique in its texture and flavor. I can’t wait to share this Neapolitan treat with all of you! But before I do, I just wanted to let you know that a group of talented Canadian Bloggers (all Food Bloggers of Canada members) have decided to create a virtual Holiday Cookie Exchange with all of you. So be sure to scroll to the bottom of the page for some links to fantastic recipes! (You can also find us in all the social media by searching: #CDNFoodCreatives). A big thanks to our hosts: Laura, who can be found at thebluenosebaker along with Kacey from The Cookie Writer and Evelyne from CulturEatz. 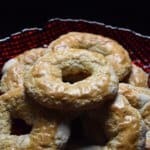 You are probably aware that Italians are notorious for their cookies and baked goods, especially during the holiday season. There are so many wonderful choices : amaretti, cucidati, struffoli, to name but a few. 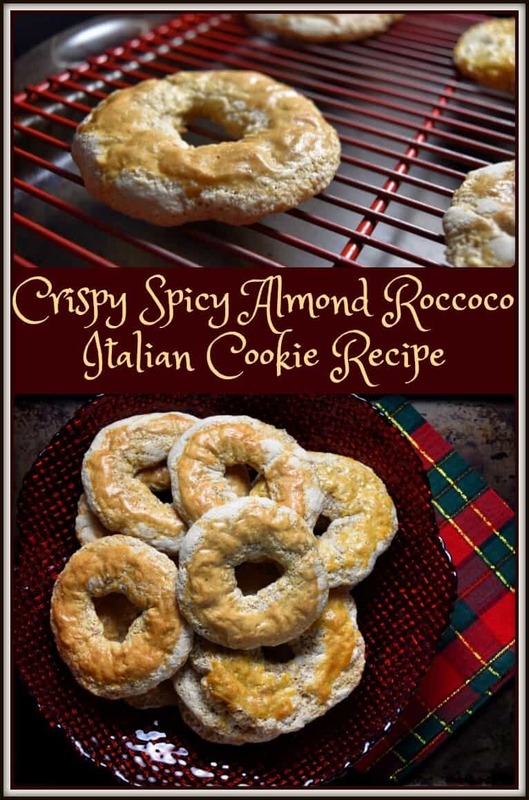 Today, I am going to include this Crispy Spicy Almond Roccoco Italian Cookie Recipe. This particular recipe has its origin in the Campania area of Italy. It all starts by combining the “dry” ingredients in the mixing bowl of a stand mixture. Upon the addition of the liquids, in the form of an egg and some water, you will get a wonderful aroma. To be honest, the most challenging process in this recipe is adding the right amount of water in order to get the right consistency. There is a little bit of trial and error, but in the end you will be rewarded with an absolutely wonderful treat! 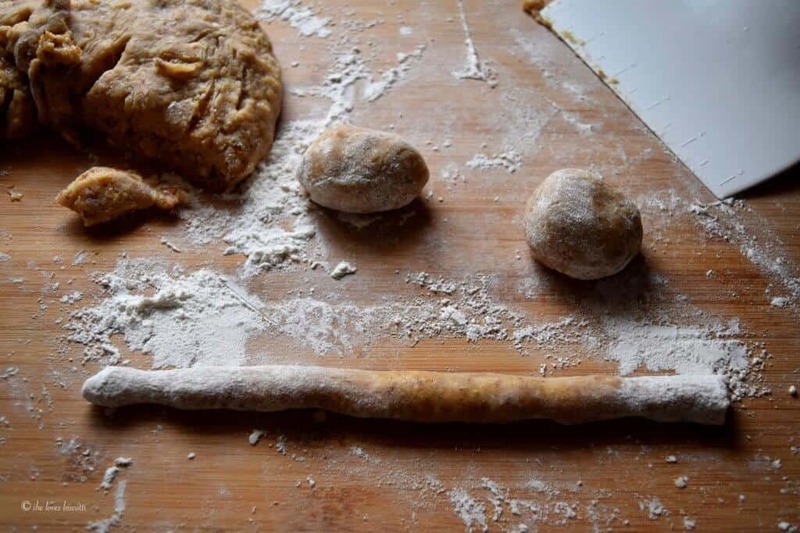 This is a very sticky dough, so before you place your dough on your wooden board, make sure to put A LOT of flour on the board. You might also need to sprinkle some flour on the top of your dough. 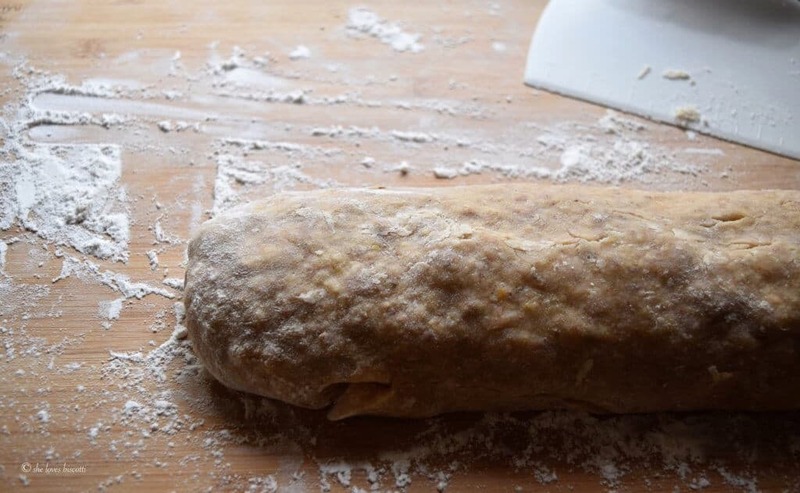 I will knead the dough a few times and form a log. With my trusty little dough scraper, I will cut pieces of dough that weigh 40 – 50 grams each. I will then roll each piece of dough into a 7 inch rope. Then it is just a matter of joining the two ends and placing them on a parchment lined baking sheet. 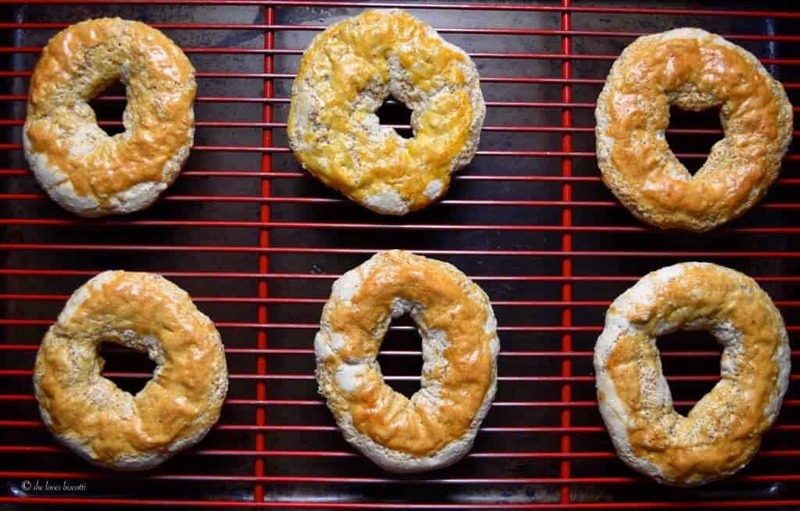 You need to brush the tops with a little egg wash; they are then ready to be baked for about 12 minutes or until the surface is a nice golden brown. Allow the cookies to cool slightly on the baking sheet, before transferring to wire rack to cool completely. These cookies are supposed to be hard and crunchy. Once again, you need to adjust the amount of water that is added to get the right texture. 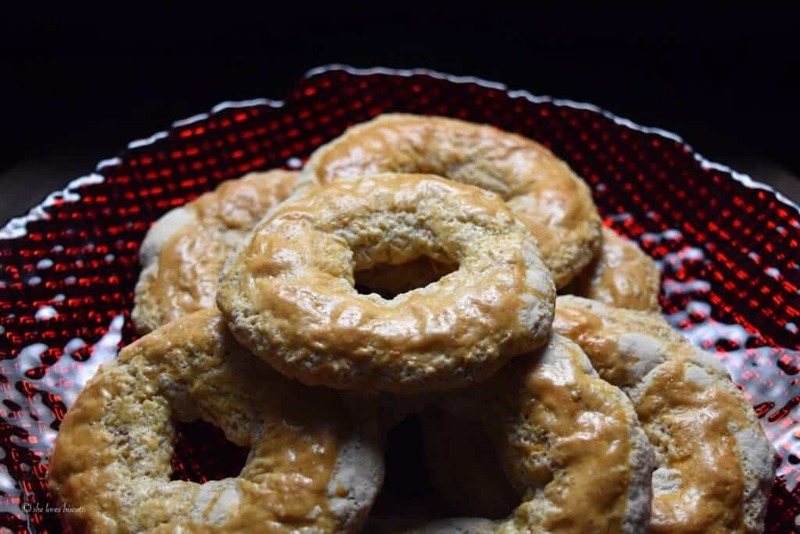 Over the years, I have tried different versions of this recipe and the one that I am sharing with of all you today is from Laura Vitale. I truly hope that you have the chance to try this Crispy Spicy Almond Roccoco Italian Cookie Recipe. Can’t wait to hear if you enjoy them! Sharing is caring! Please post on social media if you like with the hashtag #CDNFoodCreatives! My mouth is watering. I’ve not heard of these cookies before and definitely am going to try. Thanks. What a wonderful new cookie recipe! So glad you included it as part of the Cookie exchange! Wowww these look so delicious! I started drooling at all your Italian baked goods list, and didn’t stop until the end! They sound amazing. 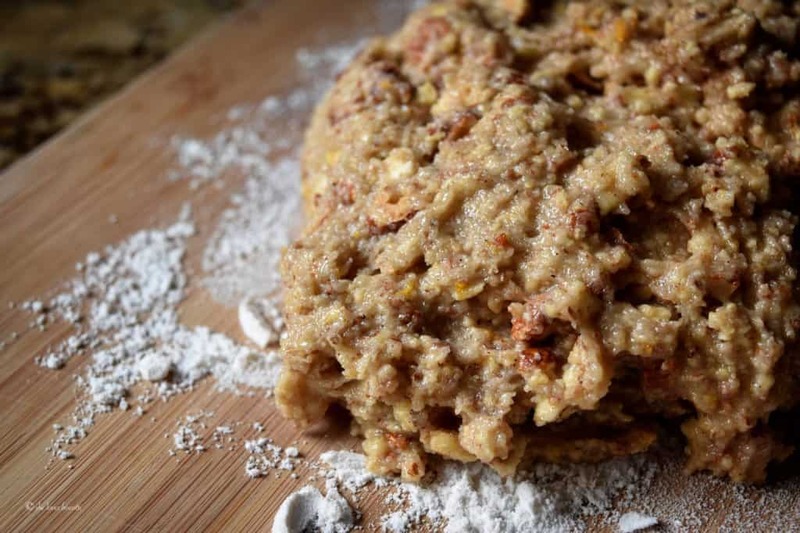 Crunchy, nutty, spicy – all of the qualities I need in a cookie! Thank you, Nunzia and Laura – this is a must on my holiday baking list! Well this Italian holiday cookie is knew to me. I know about the others but would love to try this new one, sounds like a great taste and texture! This is why I love the exchange: drooling over cookies that I have never made before but now cannot wait to try! These look so decadent, and I know they would be amazing! So many wonderful holiday flavours and scents in these cookies! 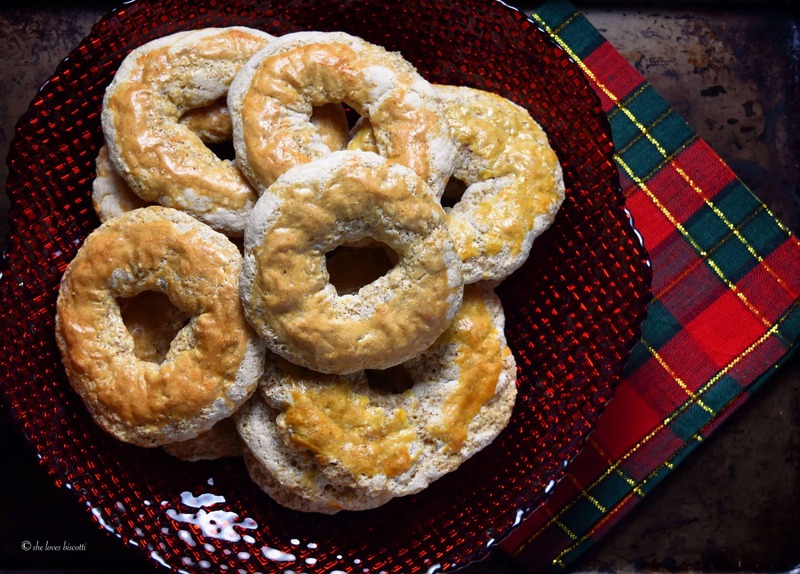 The fact that they’re shaped like a wreath is slightly magical as well. Happy holidays! Good eye Samantha! In fact, blanched almonds are sometimes indented in the cookie dough before they are baked. Happy Holidays to you too! Okay, these are a new cookie to me! This is why I love food blogging! I literally learn something new everyday! The dough looks a bit difficult to work with, but I bet the reward is so high! Thanks for sharing 🙂 So happy to be part of this collab alongside the pros like you! What a great looking recipe, Maria! I love the combo of the spices and the citrus zest. Will have to bookmark for later! Sounds like an all-in-one cookie ! Crispy, crunchy, nutty, spicy with a bit of citrus….Wow ! The name reminds me of the Almond Roca candy that I loved when I was young. Thanks for sharing ! These look delicious. I bet they’re addictive. Beautiful photo too. All your photos are lovely. Is it supposed to be 1 3/4 CUPS flour and 1 3/4 CUPS sugar? I’ve never heard of these cookies before, but they sound amazing! All the right spices for the holiday season!